I recently got an email from someone who asked me “How thick is an epoxy floor?” My immediate thought was well how long is a piece of string? But on further reflection I realized that for someone new to our industry information on epoxy floor thickness can be surprisingly hard to find. I have therefore set out to provide some clarity around this subject by discussing the various thicknesses and how they impact the floor. The Epoxy floor thickness can range from the very thin (300 microns or 0.01 inches) to quite thick 5mm (1/5 inch). In certain rare instances epoxy floor coats can reach 1 cm (0.4 inch). Let’s start with the very thin floor coats. 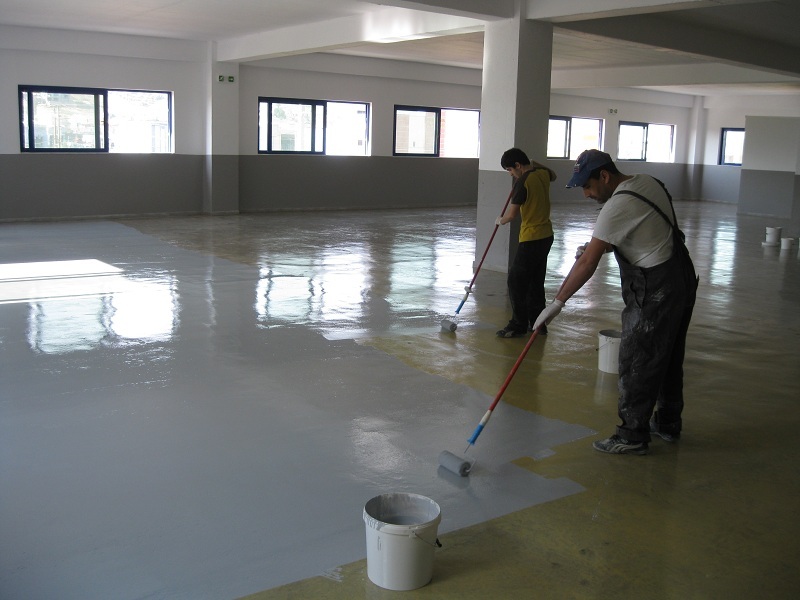 A thin epoxy floor coat usually consists of a coat of primer and one or two coats of paint. Depending on the number of coats, the floor thickness should range between 300 and 600 microns. 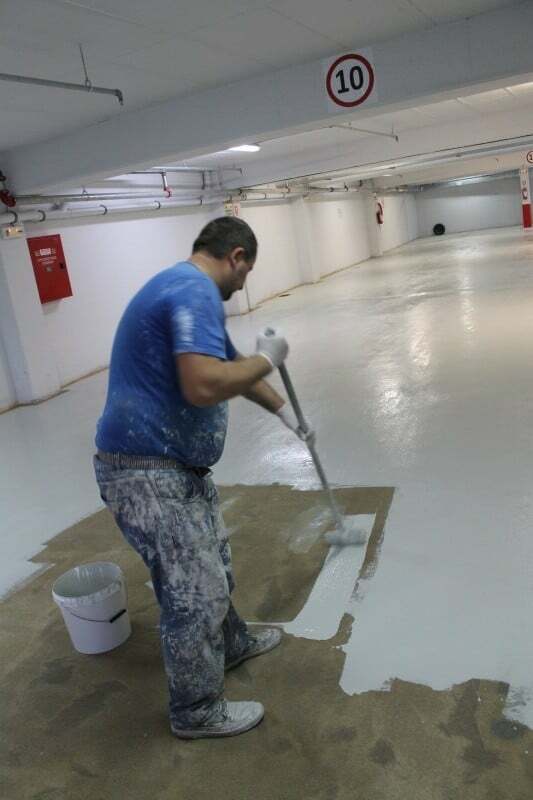 Such epoxy floor thicknesses are suitable for light applications where the primary purpose of the coat is to keep the surface clean and dust free. Such coats are only recommended for light traffic like storage rooms, warehouses with little traffic or home garages. If you are looking for better resistance to wear and tear you need to look into a system that has at least 1-2 mm (0.04-0.08) in thickness. In such systems floor coats can be combined with layers of quartz sand to create a more durable surface. In some industries 3-4 mm of thickness is not sufficient. These are heavy duty industries where there is much significant mechanical wear, dragging of heavy objects and shifting of massive loads (where massive means at least 2-3 tonnes). Industries that involve metal constructions, wire and cable manufacturing, or heavy chemical abrasion fall into this category. 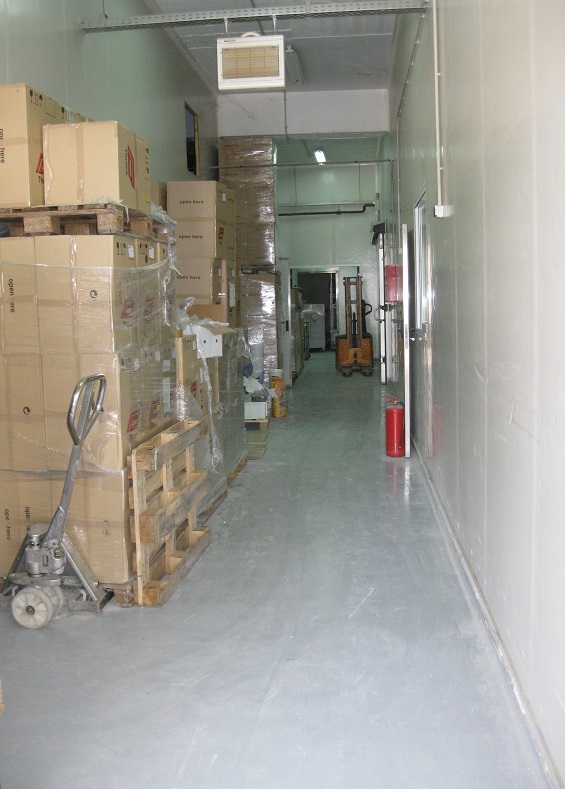 In such industries epoxy floors can even go beyond the 5mm mark and reach 1 cm. Such floor systems usually consist of multiple layers that involve epoxy screeds, intermediate aggregates, and top-coats. • The thicker your floor coat the deeper your surface preparation needs to be. You want to make sure that a thick 5mm coat shouldn’t just ‘float’ on top of the concrete. It needs to be ‘anchored’ well into the substrate. • Certain floor resins systems may require thicker coats. For example in the cementitious polyurethane screed market it is not uncommon to see floor coats exceeding reaching 12 mm (1/2 inch). If you want to learn more about epoxy floor thicknesses then you should check out our online course! We have an entire module dedicated to types of epoxy floors.